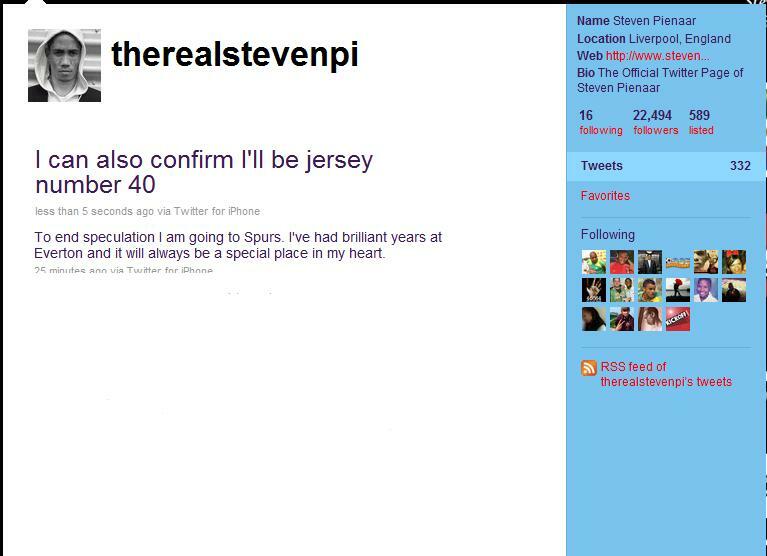 Pienaar confirms on Twitter he's joining Spurs. So after news of Chelsea being interested and then having a bid for Pienaar accepted the other day, it's been confirmed by the player himself on his official Twitter page that he has signed for Spurs. The question remains as to why he would pick Spurs over Chelsea?. There had been rumours that he wanted £75K per week and Chelsea were not interested in paying that figure to a player who wouldn't command a regular first team place so does that mean he is on that money at Spurs?. It's surely has to be down to playing regular football if you ask me. Why on earth would you turn down Chelsea for Spurs for any other reason? Some Chelsea fans will think that it's no loss anyway. However what do you people think?.